SoCo Lofts in Downtown Dallas at 1122 Jackson offer historic industrial lofts with several one and two bedroom floorplans including rooftop penthouses. Located in the heart of Downtown Dallas, these lofts provide residents with an opportunity to experience the very best urban lifestyle the Dallas area has to offer. The building itself has an interesting history, having originally started out as a railroad terminal with its own warehouse and later converted into apartment building in 1924. Ever since 2004, this building at 1122 Jackson Dallas has been a premier location for Dallas loft apartments for sale and rent. Due to SoCo's historical significance, residents can also take advantage of historical tax exemptions. These South of Commerce lofts in Dallas are an excellent option for those looking for a true live, work, play urban lifestyle. SoCo Urban lofts in Dallas include open and spacious floor plans, providing residents with comfortable accommodations to suit every need. Residents at SoCo lofts also enjoy access to a rooftop pool with amazing panoramic Downtown Dallas views. Each unit features industrial styling, in keeping with the building's original use. Stained concrete floors, exposed brick, and industrial-style lights add to the buildings' purposeful look. 1122 Jackson in Dallas is just a few minutes' walk from several area parks, as well as some of the best restaurants in Dallas. SoCo lofts in Dallas are also just a short walk away from DART stations, shops and other Downtown Dallas attractions. Lofts in Dallas Fort Worth, TX have become more popular with the increase in new mixed use urban districts spreading throughout Dallas and Fort Worth. Both Dallas and Fort Worth are working with developers and neighborhood associations to revitalize urban areas and historic districts including improving old commercial buildings and converting to residential urban loft and condo housing. Dallas Fort Worth, TX loft living is a popular choice for young professionals and millennials. DALLAS-FT. WORTH LOFTS FOR SALE & RENT WITH LISTING PRICE/STATUS CHANGE ALERTS, 1st DAY ON MARKET! 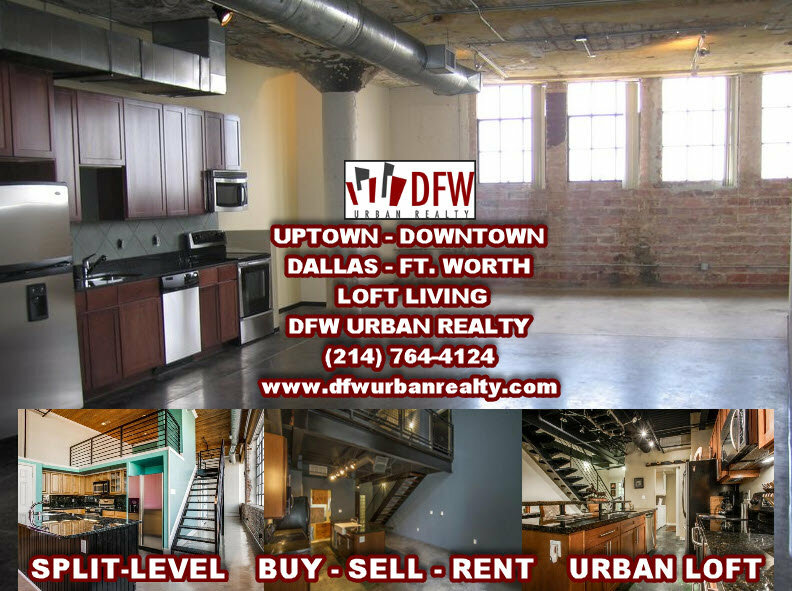 UNLOCK EXCLUSIVE DFW LOFT MLS LISTING DETAILS! Dallas-Ft. Worth Loft Search Technology to fit you! When it comes to convenience, our DFW loft search is unparalleled. Whether you're in the comfort of your home, or on the go, our site works flawlessly on multiple devices so you can search lofts for sale in Dallas and Ft. Worth with ease. 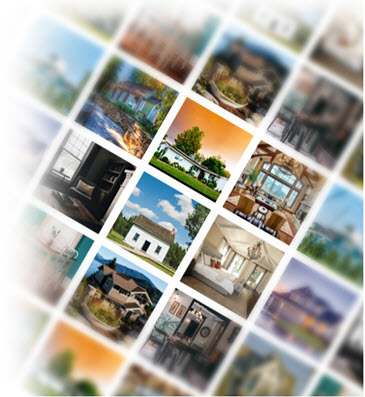 Receive listing updates on loft listings in Dallas and Fort Worth that match your search criteria, the 1st day on market! UNLOCK Cumulative Days On Market, HOA Home & Condo Association Dues, Property Listing Price & Status Change Dates and more! By combining modern technology with local expertise, our DFW Realtors are able to deliver an unmatched level of customer service!